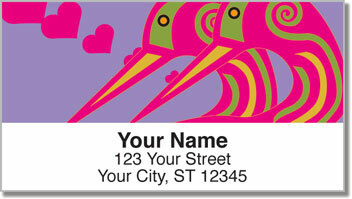 While this playful address label design depicts all sorts of birds in love, there is actually a species of small parrots known as lovebirds. The birds get their name from the fact they form strong, long-lasting bond with their mate. If you keep a single lovebird as a pet it may even form such a bond with you! 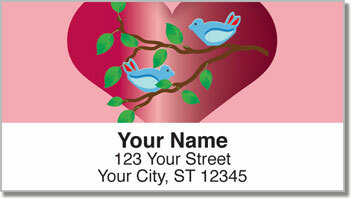 Lovebird Address Labels are a cute and colorful way to put a personalized finishing touch on your letters and packages. This selection features four original illustrations that are perfect for any hopeless romantic. Use your new labels to save time preparing outgoing mail, or stick them on all sorts of items to mark them with your name and address. 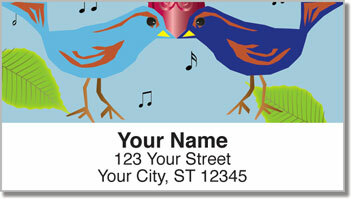 Get your own Love Bird Address labels now! 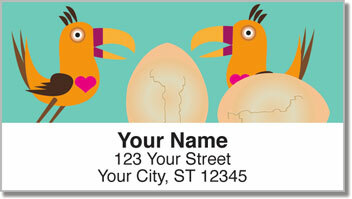 They're also available as personal checks!